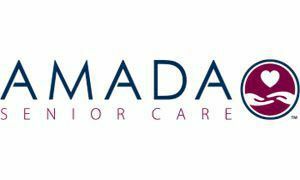 The mission of AMADA SENIOR CARE is to enrich the lives of our clients, their families, our employees and the senior community in which we serve. We set a new standard of care in our industry by creating an innovative and customized senior care experience. We do this by providing concierge-level service to families to ensure that the loved one is in the right environment, with the best level of care possible. This can be living independently at home using our advanced safety technology or using our experienced caregivers to provide companionship, assistance with ADL’s, light housekeeping, manage errands, and more (our caregivers are licensed, bonded and insured protecting the interests of the client). Further setting AMADA apart is how we offer complimentary consulting and support in helping the family find the right long-term housing option like: Assisted Living, Care Homes, Independent Living Facilities and more. Rest assured during this often-stressful time, we are experts in helping identify and manage the various funding alternatives for long-term care, including LTC insurance and Veterans Benefits. We can gladly take on this complex process for you, so your focus can be on the family. Let our 40+ years of healthcare experience deliver the compassion and care you need during this important time. AMADA is a pioneer in leveraging technology to keep the loved-one safe and the the family and care team informed and in touch. Let us explain how AMADA is unique.